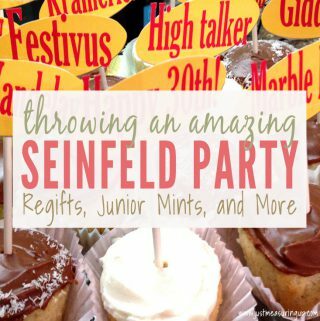 Does just thinking about party planning stress you out? We’ve all been there! 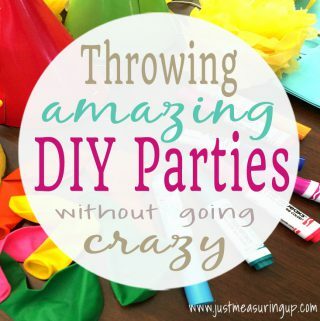 Follow these five tried and true tips to throwing an awesome DIY party without going crazy. 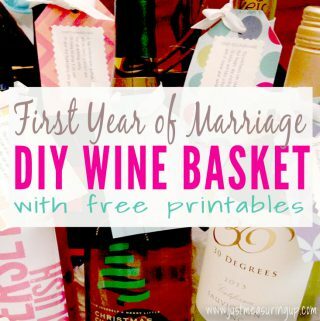 Your guests will be impressed and you’ll be stress-free. Honk, honk. Beep, beep. 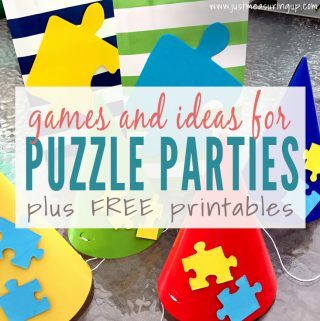 Wondering what kind of party to throw your little guy? 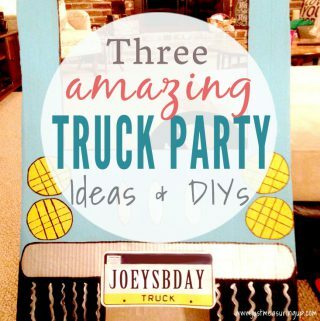 Plan a truck party! 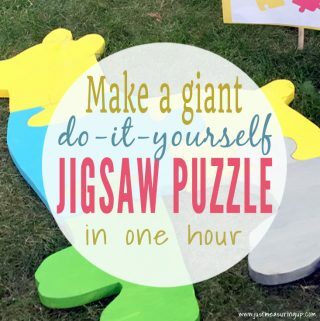 There are so many simple ideas that cost little to make – and turn out awesome! You’ll have one happy birthday boy! 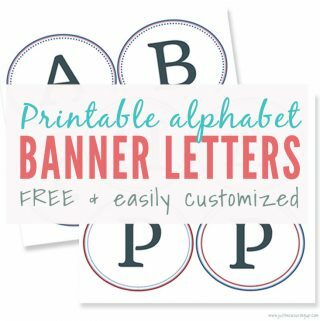 Sharing her free alphabet banner printables, Eileen explains how she made an adorable banner for her toddler’s party. 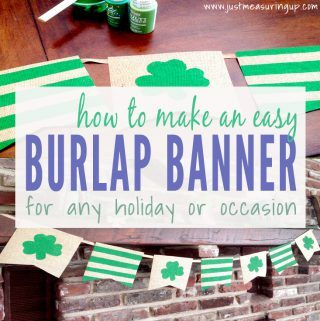 She’s thought of everything with these templates, so you can make a banner in no time! 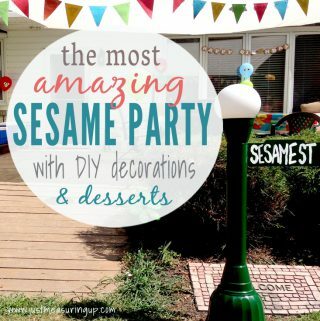 With her love for planning, decorating, and impressing, Eileen threw a fabulous Sesame Street party. 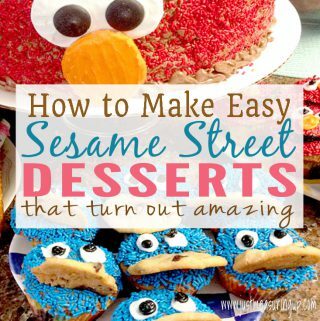 From the decorations to the cake to the games, she made everything! 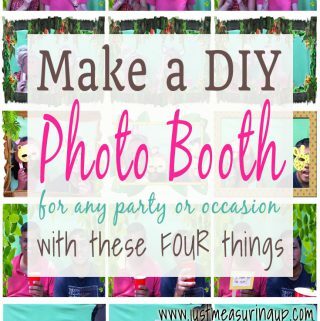 You don’t want to miss this party post. 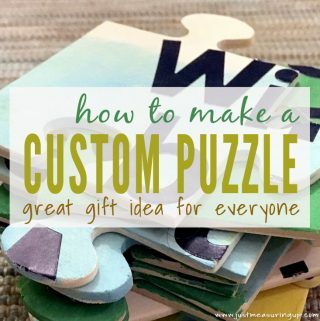 Eileen shares details, templates, and tips for the entertaining bridal shower game Mustaches and Tiaras. 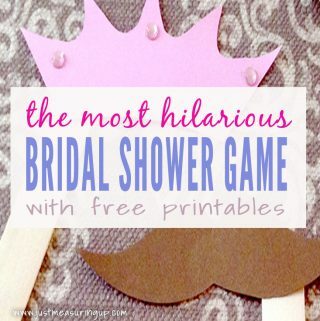 If you are looking for fun shower games with the prep work done, don’t miss this post! 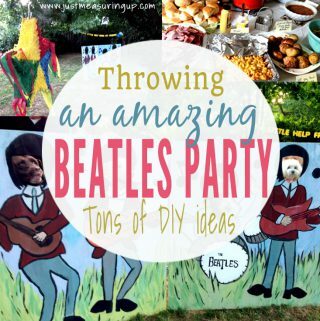 From creative menu labels to song titles flying high to Beatles face cut-outs, Eileen and her sisters planned their dad an unforgettable 64th Beatles party. The best part? Themed food! 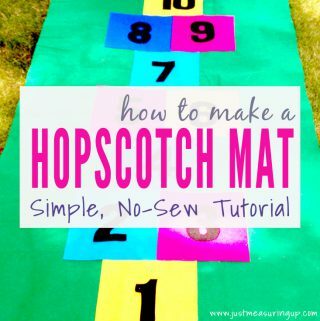 This is a post you don’t want to miss!